Bring characters to life in 3D! Animators create the movements that make our characters walk and run, laugh and cry. Our animators don’t simply make the characters move around the game – they make them show emotion and grace and bring them to life. An animator’s work is on display for players all over the world, at a push of a button. In other words, as an animator, you’ll take a direct role in how the game looks and feels. The joy and fulfillment that players get out of the game are in your hands. 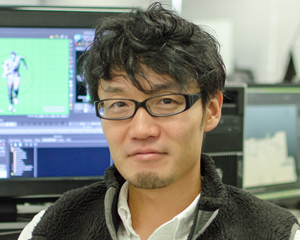 At PlatinumGames, our animators don’t simply create animations to meet specifications handed down from on high – they communicate with members across several other teams and actively contribute to the game design. They’re a vital part of our design process. First, animators take the 3D character models created by our modeling artists and prepare them to be animated, ensuring that all parts of the character’s controlling rig are positioned properly to allow the best movement. Next, they set out to create the animations that will bring characters to life in-game. 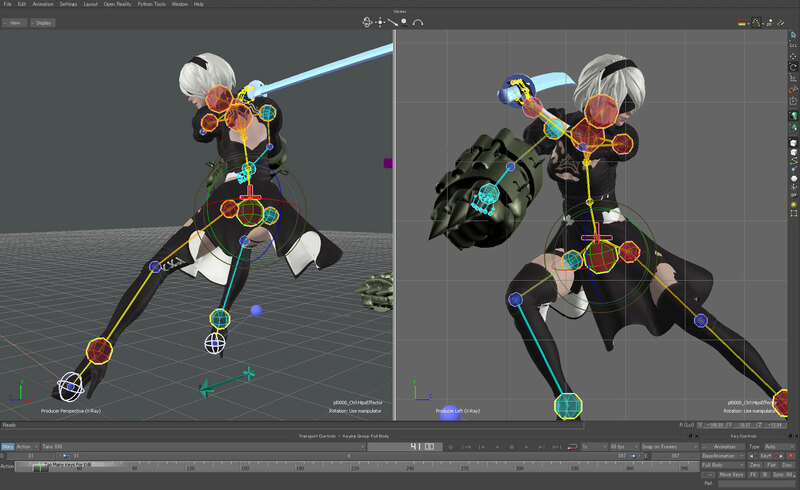 Animators put the full range of their knowledge, experience and intuition into creating animations that suit each character’s unique design, while looking great and feeling responsive in players’ hands. Using our in-house tools, our animators check how their creations look in the actual game environment. This allows them to spot issues that may have gone unnoticed in animation software alone, ensuring that our animations are the best they can be. If our animators aren’t satisfied with their animations after loading them into the game, they go back and adjust them until they’re just right. Consulting with our programmers, VFX artists and sound designers, our animation staff ensures that all parts of the game work together in harmony. This flexibility and communication is the most important part of an animator’s job at PlatinumGames. I went into sales after graduating college, but I never quite felt like it suited me, so I quit and enrolled in a one-year program at a graphic arts school. After that, I started looking for work in the Osaka games industry and found it as an animator. I applied to PlatinumGames as a chance to take my skills as an animator even further. Please tell us about animators’ role in game design. We can always use more people who love games. If you want to make interesting games, and you want to have a direct hand in what makes them interesting, please don’t hesitate to apply!